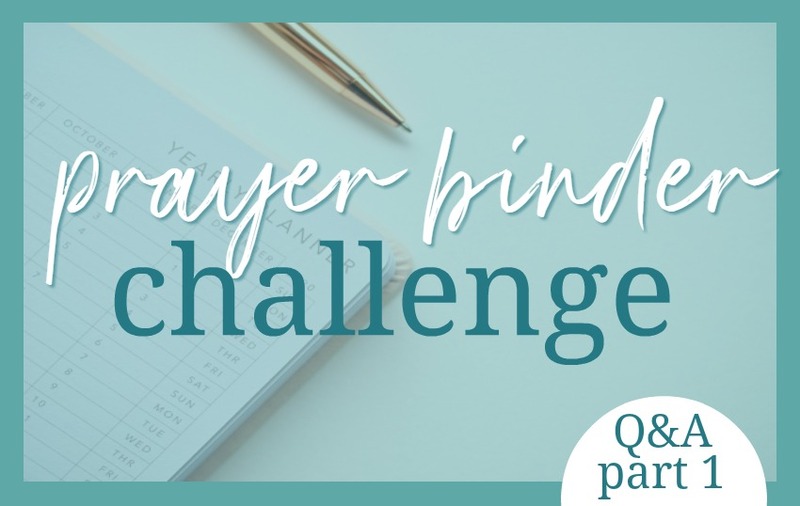 I had quite a few questions asked about prayer binders and I gathered them all up to answer as many as I can here for you! Because its always good to hear a few different opinions, I also asked to of my friends who are prayer binder veterans so you can hear multiple thoughts and see that there is no "right" way to do it. I created a YouTube video of Dawne going through her prayer binder about a year ago, and my friend and sister-in-law Michele and I chatted about prayer here. So together we're going to try to tackle some of your really good questions. I hope this will help you settle in on what works for you and helps your prayer binder be more of a record of joyful communication with God than an exhausting taskmaster. Q1: What dividers do you have in your prayer binder? Dawne: I have eight main dividers with a few sub-dividers within those. “Confession” doesn’t have a divider because it’s only one page. *see more details below under Q5. Q2: Do you pray through all the tabs every day? If not, what is your system? Kari: I rarely (in fact, almost never) pray through my entire binder every day. The only times I have is if I have an extended period of time --hours--set aside specifically for prayer. I have done this a couple of times, and I'll share about that in another post on prayer retreats! Dawne: No. It depends on the day of the week, and whether it will be a stay-at-home day or an I-have-to-be-out-of-here-in-an-hour kind of day. Some days are brief and to-the-point, and some are longer and relaxed. But I try to have time with God every day, even if it is shorter than I’d like. I try not to look at it legalistically (because guilt can easily creep in! ), but to see it as a privilege, and a blessing that I really want to keep as a priority. Michele: Nope! I'm lucky if I get through 3, but I use this as a guide and not a task master. Q3: Do you have a favorite divider? Or one that is your biggest section? Kari: Right now my favorite (I should say most used) section is probably prodigals. It's definitely my biggest section filled with scripture and quotes to keep me focused on the big picture instead of lost in the despair of current circumstances. I have found, however, that I can easily get hung up there and neglect every other section, so I try to be aware and balance by praying through other sections too. I'm currently enjoying adding to my Praise section little by little. Dawne: For me, it’s the Meditation section. That is where I keep verses or quotes that I really want to get deep into my spirit. I don’t memorize very well, so having the most impactful verses here allows me to review them on a consistent basis which, I think, is the next-best thing to memorizing. I’ve seen my attitude change as a result of consistently, regularly meditating on these truths. Michele: I don't really have a favorite section/tab because each section is unique in its own way and I enjoy all of it. I will say the biggest and most challenging section that I find myself in a lot --or the one I can neglect-- is the one for son #1 (because it can be very draining and I need a break to pray for something else, or sometimes I am just so upset that I don't feel like praying). He is our prodigal and it can be humbling and very grueling because that is where the most prayer is often needed. Q4: If short on time, what are your go-to sections? Kari: If short on time sometimes I'll just pray through the verses I have tabbed in my Bible, some days I don't pray at all (that's one of my confession questions...I'm trying to be more and more faithful and excel still more, but yes, there are days I don't sit down and pray). On busy days I try to hit praise, confess, and one other section for whoever is heaviest on my heart--it might be my petition section, or one of my family members, prayer for others, or prodigals. Dawne: For me, the bare minimum should be Praise, then Confession, Urgent Requests, and Thanks. To be perfectly honest, though, there are days when even that falls apart! But I really believe that even just those areas of prayer make a big difference in my day, so I try very hard to make that happen. If time allows, I will spend more time in my Me section, and include my husband and my kids. Then, on more relaxed days, I’ll include the Marriages sections, and Intercession. Michele: 1. praise (always) 2. confess 3. whatever I feel led from God to pray about--it could be specific areas in my binder or something outside of it that has been heavy on my heart that God wants me to focus on at the time. Sometimes, it will be just a few things I'm really struggling through or weighing on me and I just pray about that. I really just let God lead and ask the Holy Spirit to guide the prayer. For example: work/jobs, hairy situation with a family member, unexpected events, those kind of things. Q5: What do you do about prayer requests from others? How do you add them in? 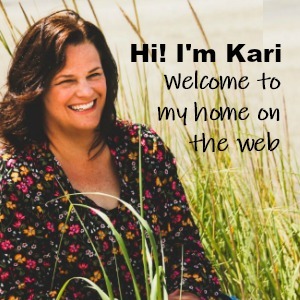 Kari: I have tiny sticky notes (1.5x2") that I use to write the request and the date on then place them on a page. If they get answered then I write the answer on the note and move it to my answered section. You can see that here. Dawne: I have a section called Urgent Requests that I use for anything that I’d want to pray for on a daily basis. If the crisis passes but it’s still an unanswered request, I move it to my Intercession section at the back. It won’t be prayed for daily if it’s in that section, but I still want to keep track of it, and definitely to write in the answer underneath, once it comes. Michele: I have a section before my personal tab (myself) and I have a sheet of paper with their name and the prayer request. I pray for others before myself. *Under my misc. tab I print out a calendar for that month and put birthdays of the people I know and will pray for that person that month or anything that needs prayer like surgery, doctor appointments, etc. Q6: How do you make time to pray? Do you have a routine or a set time, etc? Do you pray other ways too? Kari: Since my boys are older (and two are out of the house!) my prayer time is in the morning. 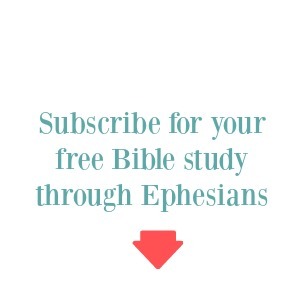 I usually listen to my Bible read through first as I sip coffee, then work on scripture memory, then pray. But, even though I have a very quiet house in the mornings now and my boys don't wake up as soon as they hear me tiptoe down the hall, it is still a struggle every. single. day. 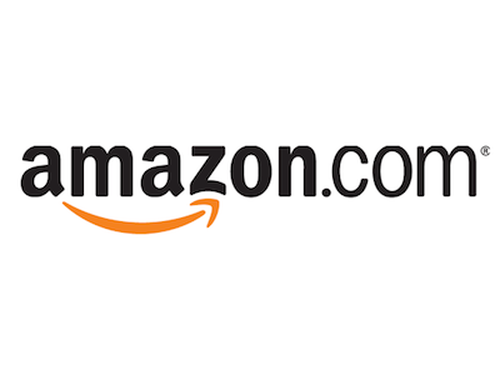 I frustratingly find myself on Amazon looking up random things, organizing my desk, or doing any number of things other than praying! I have found it helps if I do two things (it's always a struggle! ): If I pray on my knees, and if I pray out loud--by that I mean whisper-- but it helps me to focus on what I'm doing instead of getting sidetracked. Dawne: I have found that ensuring that I have time to pray really starts the night before. If I don’t have a grip on my evening routine, my morning routine suffers. So, if I want to be praying by 7 a.m., I need to be in bed by 11 p.m. If I want to be in bed by 11 p.m., I need to start heading there by 10 p.m., which means wrapping up my evening by 9 p.m., etc. Someone once explained to me how they will read a passage of Scripture until they see something that really speaks to them, then they pray about that. I’ve really enjoyed doing that, and find it’s a nice way to feel like God and I are actually having a conversation. Michele: I would like to say I make time for it everyday, but in all honesty I don't. I don't like to have a structured prayer life with every day the same because then it becomes a ritual or even legalistic for me. It seems like I go in waves and I can be really be diligent and disciplined one week and then life throws a curve ball and I find myself at a loss for words to speak. At those times I let my varied thoughts and groans be my prayer. I want to come to God with an open heart and mind and allow God to direct HIS time with me, not the other way around. My prayer binder time enhances my prayer when I pray, but it is not a taskmaster. There are times I don't use my binder and I just write down on a sticky note a few things that I feel the Holy Spirit is leading me to pray over and focus on instead of what is in my binder. Again, the binder is a guide not the law. It's there to help fill in the blanks of what and who to pray for. It helps me focus on God and what He can do instead of what I can do. It's about Him and not about me. I'm just His vessel and my binder is the tool I use to stay connected. Hopefully this Q&A inspired you and answered some questions. If you have any other questions, please add them in the comments and we'll answer in part 2 next week! Can you give some specific examples of what you include in your Praise section?